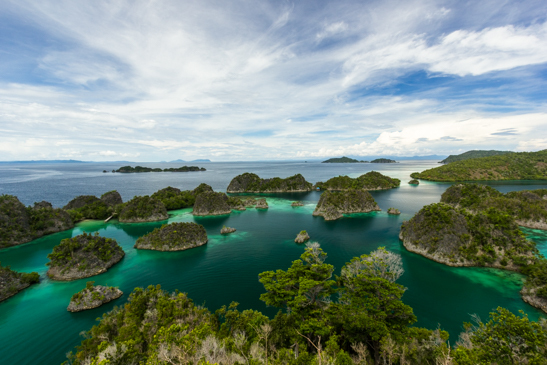 This article presents extremely simplified principles aimed at foreigners starting to learn Indonesian. This is neither comprehensive nor exactly accurate but more than enough to start the right way. This is especially true when it comes to negation, questions and tenses. I will dwell upon all three points in the next lessons anyway. I believe it’s more useful and rewarding to know one way to express negation and 20 words than to know 5 words and 3 synonyms for “no” depending on the context. Because people will understand your negation anyway while you cannot make up words. Please refer to this article in which I explain the notation that I use. Last point, the way I speak is largely influenced by the language spoken in Java and especially Jakarta. I’ll try to mix it with more standard Indonesia because the Jakarta/Java way of speaking has influence over the other regions mostly through film and television. In this lesson and the next, I will draw as much as possible from this list of vocabulary. Indonesian use roman alphabet so reading is not an issue for Western people. Look up on Youtube, there are tons of videos that show how to pronounce the alphabet. C is pronounced ch (like in cherry). When you order nasi campur [rice diverse] (rice with various small sides) don’t pronounce it /kampur/ but /champur/. Words in English are still pronounce the English way, so don’t ask for a /choke/ instead of a /coke/. k at then end of the words is sometimes mute (actually not exactly but the sound is so muffled that for now you can do as if it was actually mute), sometimes not. 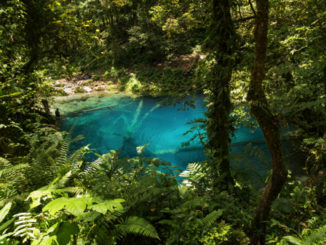 TIDAK (no) is pronounced /TIDA/ and not /TIDAK/. If you are tired, say that you are /cape/ instead of /capek/ (which is still the correct spelling). If you food is good, say that is /enak/ and not /ena/. I know it’s rather confusing and you have no real way to know in advance how to pronounce it. Kh is sometimes pronounced in a way reminding arabic. Type khas or khusus in google translate and click on the speaker to hear it. If you are not a native English-speaker, h are pronounced the English way like in “hundred”. The rest is pretty obvious, you cannot make huge mistakes that will prevent people from understanding you. Stay attentive to the way people are speaking and you will make fast progress. 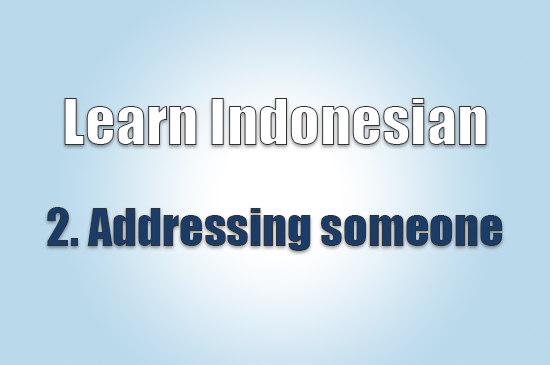 Rule 1 : an simple Indonesian sentence is build around the SUBJECT + VERB + COMPLEMENT structure. Adjective and possessive pronoun goes after the noun they refer to. Rule 2 : you don’t need an equivalent of “be” to express a state of the subject. Rule 3 : to make a negation, simply put the word tidak (no) in front of the verb or the adjective. Rule 4 : you don’t need to bring changes to your sentence to turn it into a question, just adapt the tone of your voice. You can also use an interrogative pronoun, he usually goes in the first place of the sentence, followed by the subject and the verb. Kamu lapar ? [You hungry ?] : Are you hungry ? Siapa nama kamu ? [Who name you ?] : What is your name ? Remember that a personal pronoun (like kamu : you) placed after a name turns it into a possessive pronoun (in this example yours). You notice that you don’t need an equivalent of “be”. Kapan dia pergi ? [When he/she go] : When does he go ? Rule 5 : verbs don’t bear the mark of the tense directly. They stay exactly the same wherever you’re using past, present or future tense. The tense is given by a marker usually placed before the verb. Rule 6 : nouns in Indonesian don’t distinguish either plural or gender. To express plural, double the word. If it is not essentiel to understand the sentence, you simply don’t care about plural or singular. Quantity adverbs are also often used. Anak : a child. Anak anak : children. In this sentence it doesn’t matter how much you bought exactly, you’re just saying that you have been shopping for cloth. 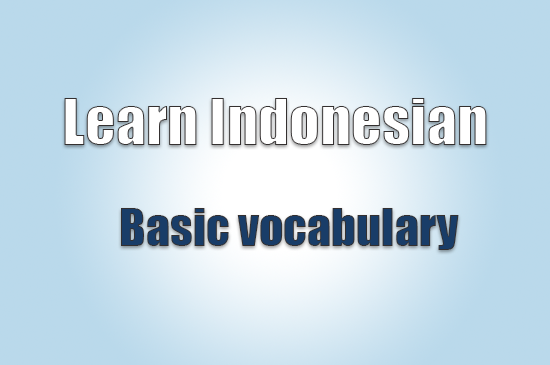 Rule 7 : Indonesian words are often built around a “base word” that is either a noun, an adjective or a verb. By adding prefix and suffix, you can turn this word into something new, that is more or less close from the original word. If it starts by me-, men-, mem-, meng- : this is likely to be a verb. If it starts by pe-, pen-, peng- : this is likely to be a noun. If you see a base word you know with the prefix ke-, the suffix -an or both : then it is a word derived from the base word. It’s going to take a huge article to explain all of this. So please be patient. Anyway, it is something you won’t need to master before at least one year of practice. 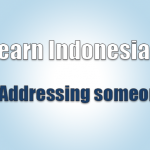 In this section of the website I will try to help you to acquire useful skills in spoken Indonesian. So I will give a lots of exemple of informal Indonesian (sometimes quite Javanese accented). 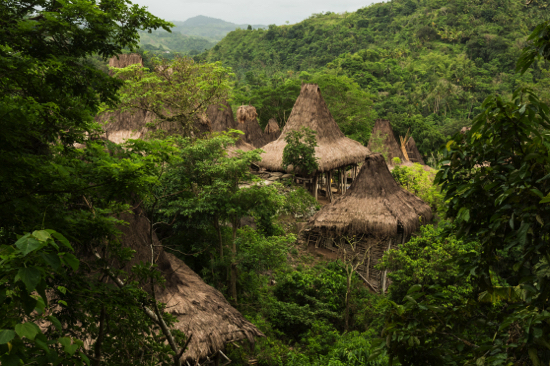 How do you recognise informal Indonesian ? Grammar rules are applied very loosely. Sometimes not at all. Very common thing : using the base word instead of applying affix and suffix to form a verb or a noun. Pronouns used, question markers, temporality markers change. Words are shorten up ! The last one is the most confusing. Because even 5 letters words can be shorten. Kamu sudah makan ? [You already eat ?] : Did you already eat ? Sudah became udah in the answer. Actually you can even hear just dah sometimes. They are tons of examples like this. There is no point reading this part but sheer curiosity if you are still struggling to handle daily conversation. You should rather learn by heart the vocabulary you saw in this session and move on to session 2. An equivalent of be is either adalah or ialah. But you will mostly meet them in the formal language. Another common structure is to use itu (that) at the place you would put be in an English sentence. Dewa/Dewi : god/goddess (only for ancient or Hindu gods. Muslims usually use the word Allah, Christian Tuhan). For animals, you shall use jantan (male) and betina (female). 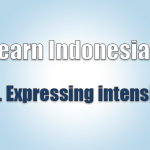 If you want to learn more about spelling transformations occurring in Informal Indonesian, please refer to this website.